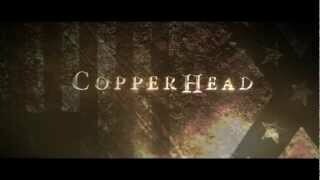 Copperhead release date was Friday, June 28, 2013. This was a Limited in theaters release. 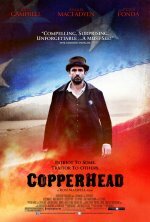 Copperhead is the story of Abner Beech, a stubborn and righteous farmer of Upstate New York, who defies his neighbors and his government in the bloody and contentious autumn of 1862.Far from the Virginia battlefields whose names etch our history, the war of Copperhead visits the devastation and unimaginable loss of a civil war upon a family and a community whose strength and very existence are tested by fire, rope, knife, and betrayal. This is the Civil War come home.With Copperhead, director Ron Maxwell, who with Gettysburg and Gods and Generals established himself as our foremost cinematic interpreter of the American Civil War, takes on the War from a stunning and unexpected and richly, unforgettably humanist angle. Based on the novel by Harold Frederic.